The Third Edge of the Sword: Our Loud Pipes Saves Lives Challenge winner...who just blares Hungarian folk songs? Our Loud Pipes Saves Lives Challenge winner...who just blares Hungarian folk songs? 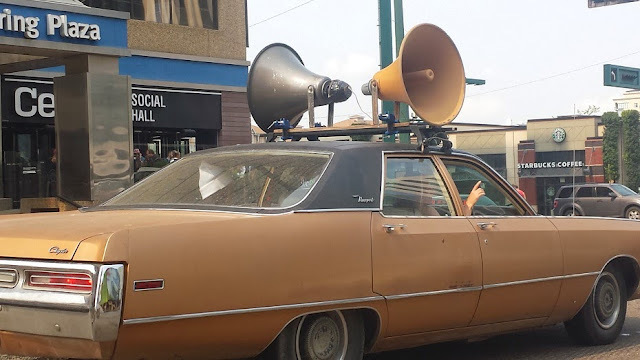 Four years ago I posted the Loud Pipes Save Lives Challenge, asking motorists to affix large noisy horns onto the sides of their cars and honk them extremely loudly (I'm thinking 105dB or higher) when in the presence of a motorcycle with unnecessarily loud pipes (so, all of them). Imagine my delight last week when I finally actually found one!